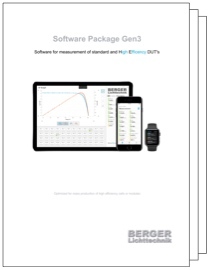 Completely redesigned software for measuring standard and high efficiency DUT’s. 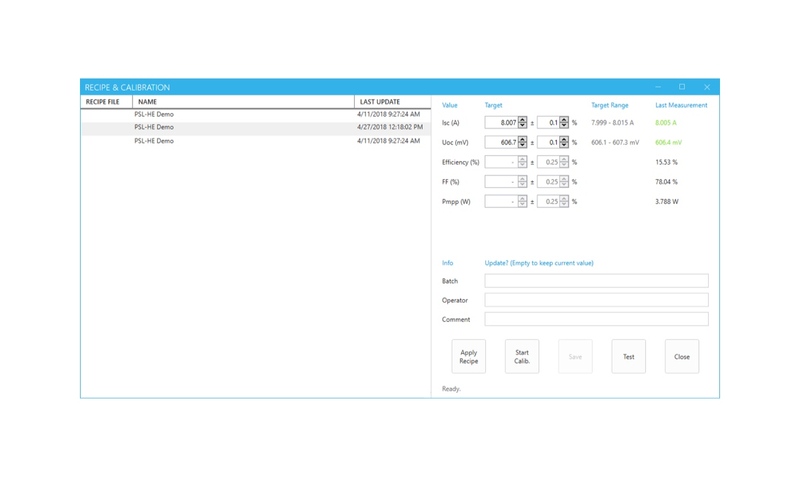 The graphical user interface (GUI), the machine control (MC) and the work flow have been modernized and adapted to customer needs. MC can be operated with out the GUI, enabling also wireless connections for the GUI. Smart Operator functions and automatic tracking and adjustment relieve operators from manually performing adjustment runs and calculations. 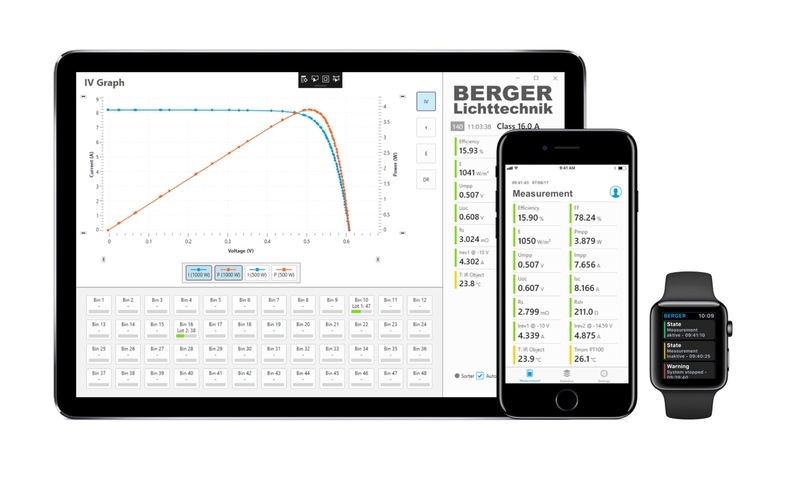 Including the market approved sub-IV-curve technology to measure high efficiency DUT’s and taking full advantage of the fully digital controlled resistor decade of current and future BERGER measurement loads. 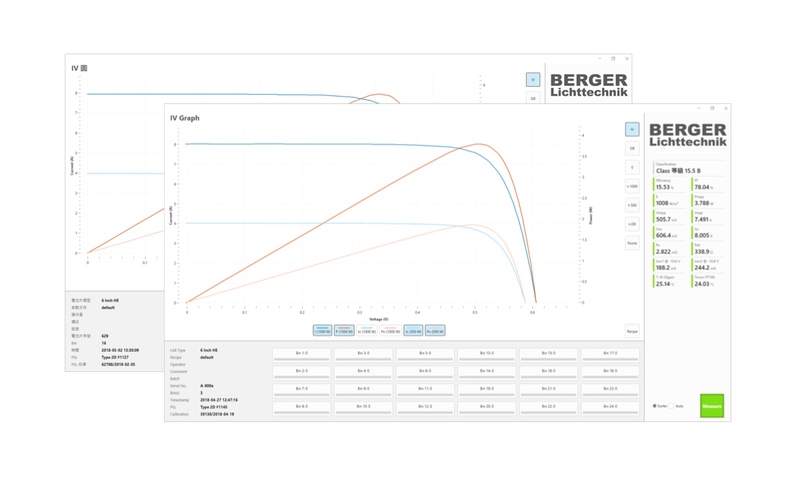 Scientific multi-layer curve analysis for reliable and stable measurement results.